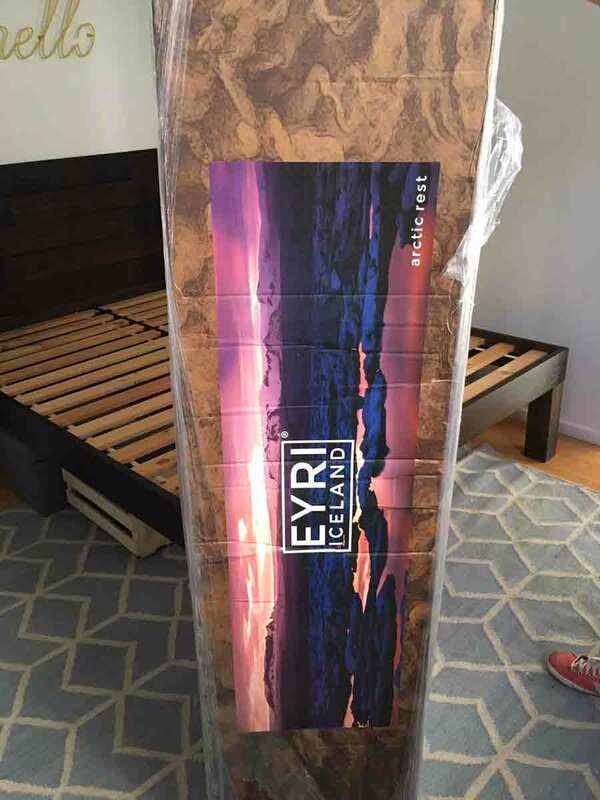 The Eyri Mattress is an Icelandic bed shipped everywhere in the US. They promote organic mattress components such as wool and volcanic ash infused latex to provide a cool and supported sleep. 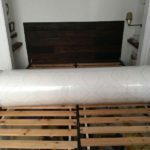 Find out everything you need to know about the Eyri mattress below. Be sure to watch our Youtube review. The Icelandic people must like a firmer mattress because the Eyri is pretty firm. I give it a 7 out of 10 firmness. (10 being the firmest) The Eyri works for me since I am a back sleeper and actually prefer a firmer, more active bed. If you are used to a soft mattress, the Eyri will be too hard for you. The Eyri 1/2″ of luxury wool doesn’t do all that much to soften the 1.25″ layer of latex beneath. If you need good back support, then the Eyri is the bed for you. 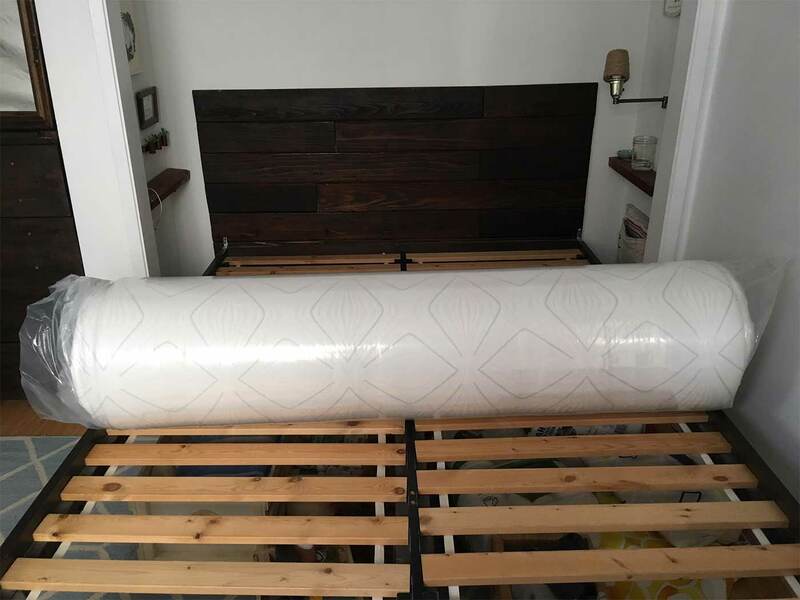 This mattress won’t sag or dip as you sleep on it during the night. The top wool and latex layers offer just enough softening that I had no uncomfortable points of pressure. The same might not have been true for a side sleeper, as this mattress doesn’t offer much sinkage. I found that I only sank into the Eyri around 1-2 inches when laying in the center. There was a little more sinkage on the sides of the mattress, but it was overall very supportive. The Eyri did amazingly good job responding to my body as I moved around. This bed will let you wake up energized and ready to face the world. Sleepers looking for a snuggly morning should look elsewhere for a mattress. Leave it to Icelanders to put so much emphasis on the temperature of their bed. The Eyri mattress uses a 100% natural wool top layer to keep the sleeper cool. 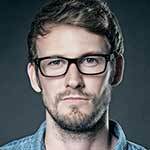 I was amazed at how well this layer worked at pulling the heat away from my body. It worked so well I almost had to put another blanket on my bed. 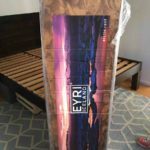 There was little to no chemical smell when I opened the Eyri Mattress. Eyri allows their beds to air out for a few days in the factory before they ship them to customers. This waiting time really does the trick with smell removal. It also helps that the Eyri mattress uses natural latex and wool instead of harsh chemicals. This mattress was heavy. 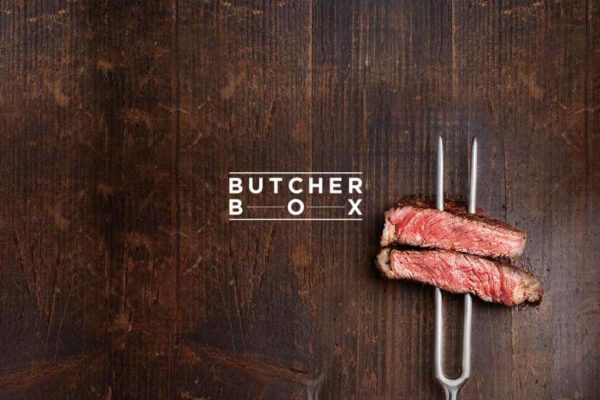 I recommend having someone help you with the box. There was a cool little satchel included with the Eyri mattress which I like quite a lot. The mattress comes with a 90 day sleep trial and a 10 year warranty. One bit of confusion with the mattress is the appearance. It looks like you can sleep on either side of the bed. This is deceptive as the Eyri mattress does have a top and bottom side. If you aren’t sure which side is up, make sure you are sleeping on the side with the Eyri logo. 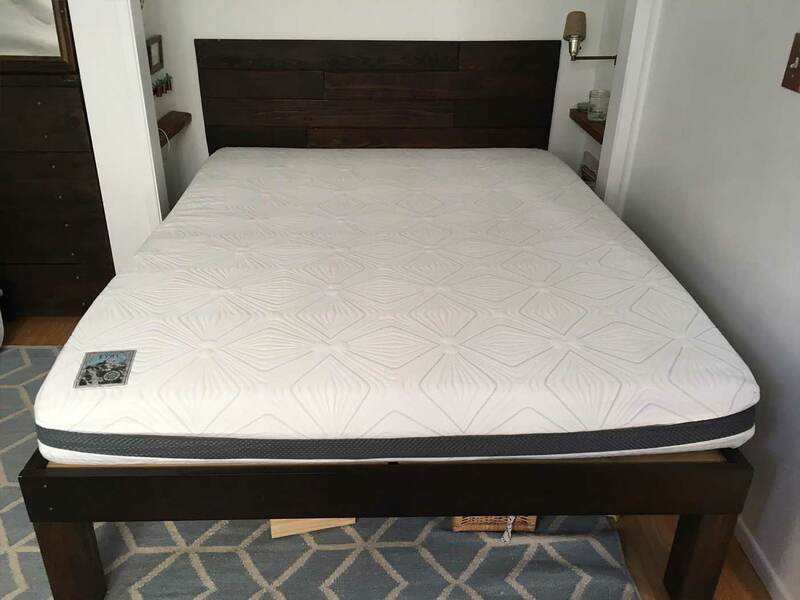 Check out Topdown’s youtube review of the Eyri Mattress. 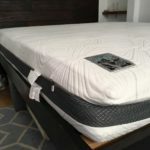 Responsive full foam mattress leaves you energized in the morning. High quality materials such as wool. 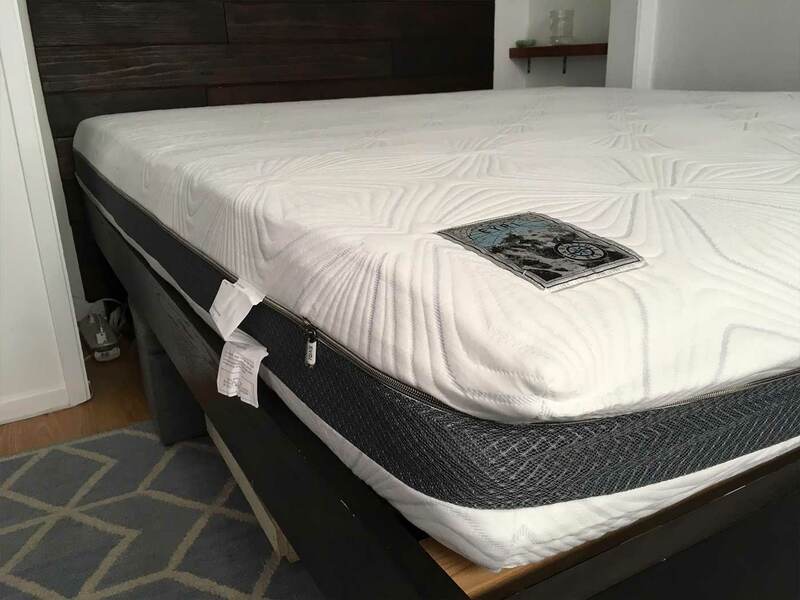 The Eyri mattress is a firm bed with a great level of responsiveness. The top wool layer helps keep the sleeper cool regardless of the temperature in the room. The only real negative I could find is the firmness, which could definitely be too hard for some sleepers. Make sure to watch the youtube video above to see how much sinkage there is with the bed. 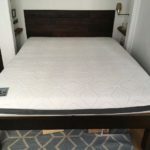 Check out the Eyri Mattress for yourself and be sure to use Coupon Code TOPDOWN to save $50 on your purchase. 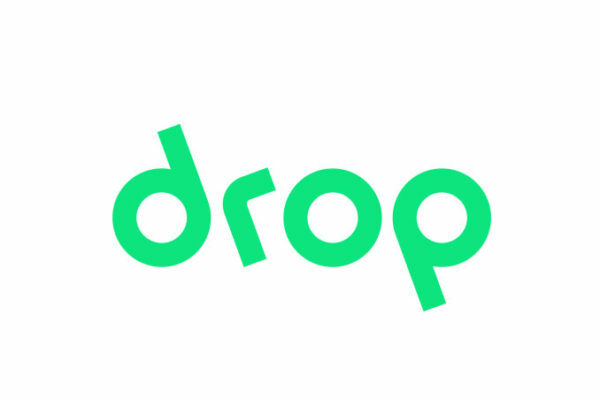 Drop App: Earn Rewards with Regular Purchases!